It’s a car that refuses to die. Born in 1954, this Hindustan Ambassador is soldiering on well into the 21st century with a new 1.5 litre diesel engine that is now Bharat Stage 4 emissions compliant. Seriously, it’s a car that hasn’t changed much in the past nearly 60 years in shape, but under the bonnet, it’s been constantly evolving. Hindustan Motors has so far had to stop selling the diesel variant of the Ambassador in 17 metro cities because of BSIV emission norms coming into place a couple of years ago. It could only sell the petrol Ambassador variant with the 1.8 litre Isuzu MPFI petrol engine and a CNG variant on the same engine. The Ambassador also came with a 1.5 litre diesel engine but that was only BS3 emission standards compliant and hence couldn’t be sold in metros. The company recently got a select group of HM dealers and taxi-cab operators to try out the new Ambassador at its plant in West Bengal. 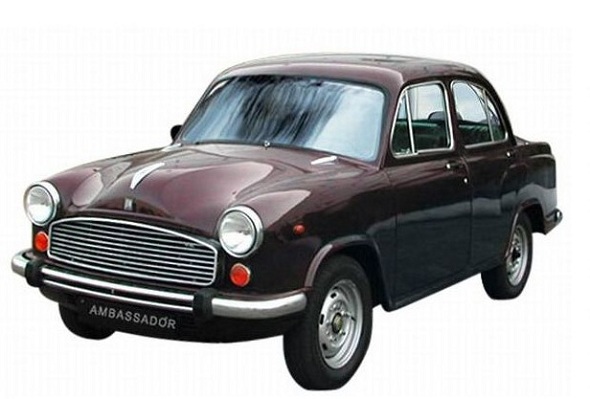 The primary market for the Hindustan Ambassador is the taxi market and hence HM thought it wise to get the opinion of its primary customers before the “new” Ambassador is launched. Needless to say, the cabbies think it’s perfect. Also read: Indian cars you grew up with! The Hindustan Ambassador has fallen out of favour with private buyers because of the advent of newer, faster, safer more fuel efficient competitors. Its buyer base is now down to only some cab operators and government institutions who still buy the car. Surprisingly, the car still sells close to 400 units a month, which is better than some of the newer cars in the market like the Fiat Linea or Skoda Fabia. The 1.5 litre diesel engine that goes into the HM Ambassador in BS3 form is highly underpowered, developing a measly 39 bhp. However, with the BS4 variant the car is expected to put out more power and torque. The petrol 1.8 litre engine also develops only 71 bhp and 134 Nm of torque, which is far lower than some hatchbacks with much smaller engines. In terms of features as well, the HM Ambassador doesn’t feature much. It has an AC and an audio player, power steering and power windows. It does not have ABS or airbags or any other features other than a 12V power socket on the rear parcel shelf to charge phones.